Here are results of performance recording. If you see and compare, you will see it’s better to have the keys in the DB. 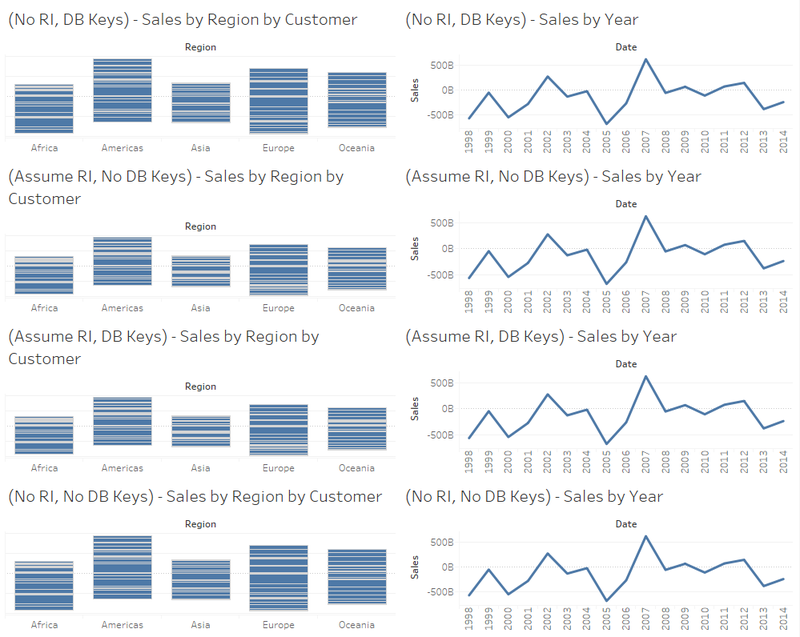 Compare the Orange with Red, this is where we are telling Tableau that there are no Keys in DB so Assume RI. The performance of these queries is worse than the case (Red) where DB keys are present. Also, adding Assume RI flag may add some overhead (comparing Blue to Red). In this case, both sources have DB Keys. Adding this option only adds overhead because of our logic. Now, if you compare Orange with Teal, this is where we are telling Tableau to overcome lack of Keys, you see that we improve the experience but not by a whole lot. Don’t forget – if you lie to Tableau, Tableau might lie to you. 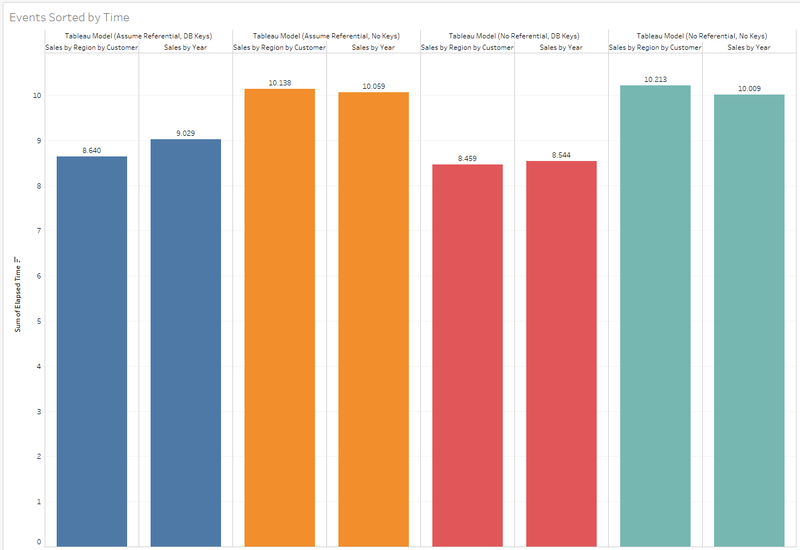 In particular, if you state your database has referential integrity when it does not, Tableau may generate queries and produce results from the query cache that are incorrect for your database. Also, future versions of Tableau will take further advantage of this setting, so even if it doesn’t affect your results now, it might affect them in the future. Never set this unless it is true!